Seems that everyone is posting about their pencil cans (sharp and dull) and I finally got around to making mine as well. It only took a week's worth of lost pencils and pencil shavings on the floor to motivate me to get these done! I also wanted to share a bulletin board technique that I saw on Pinterest (of course). Instead of stapling everything flat against the board, you use straight pins to create raised areas. Stick the pins all the way through the corners of your item until the heads are touching the item. It's a little hard to explain, but you can refer to the pictures. Then you stick the pins into the board just until they are sticking in securely. This will give your display a 3-D effect. Pretty cool, huh? And now I have a freebie. It was inspired by yet another Pinterest find (which must now be down because I couldn't get to the page to link to it - weird). 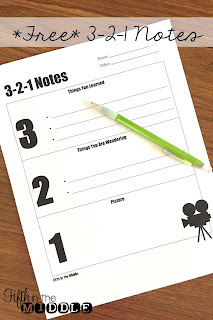 Since I show several videos with my social studies curriculum, I wanted to find a fairly easy way to hold students accountable. 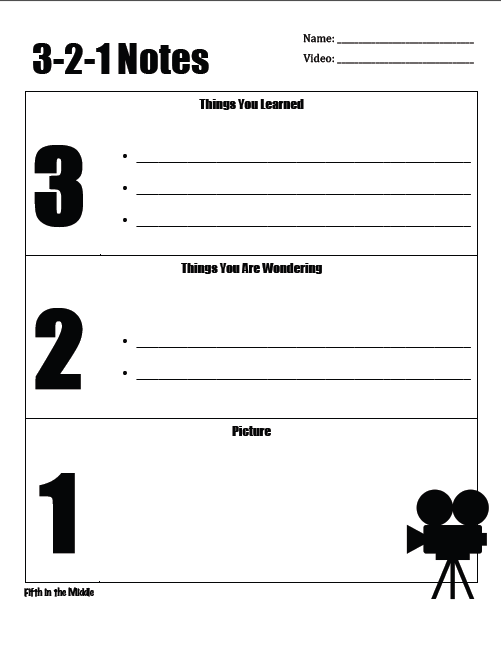 This 3-2-1 sheet has spaces for students to write three things they learned, two things they're wondering, and one picture dealing with the video. It's not a lot of writing, which is good for my IEP kids, and there is an opportunity to draw, which is good for my visual kids. I was particularly impressed with student responses for the two things they're wondering. There were some fairly deep thoughts! I think it made the assignment totally worthwhile. And it can be adapted for guest speakers or other presentations. Hope that you find it useful! I love your sharpened and unsharpened pencil cans. They look fabulous! 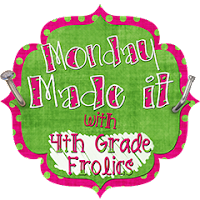 Love your pencil containers....the labels are so cute!